In December I shared a bunch of links and other tidbits in the form of a list of 12 random things. Since I have some more links and tidbits to share I thought it's about time for another "12 Things" post. 1. Our Dreadlocks. As some as you know, hubby and I dreaded our hair in the summer. And I am shocked by the number of readers who have been asking for an update on our hair. So I'm just going to bite the bullet and tell you that the dreadlocks, unfortunately, didn't last. My hair didn't want to stay dreaded and I was getting tired of constant maintenance. I just don't have that much time to devote to my hair right now. So I applied some conditioner a few times and the dreads came right out. My husband's dreads locked up great and looked awesome. But for reasons I still don't understand, one day I woke up and he had cut his dreads off. And most of his beard! 2.This grain-free, sugar-free coffee cake. If you are gluten or grain free or have a friend who is that you really want to bless, make this cake. 3. This 52 Lists Project by Morrea Seal. She gives a topic each week and you write a list. I am a list maker by nature and always in need of a little inspiration when it comes to journalling and memory keeping so I am so on board with this idea. 4. I love this post: 200 Ways to Bless your Children with a Happy Childhood. 6. This smile. It melts my heart every single day. 7. I'm getting a craft room!!! (Can you tell I'm excited?) We've decluttered so much in the last year that I've been able to clear out what was a storage room in the basement and turn it into a sewing/crafty space. More on that coming soon! 8. "Become the kind of person who notices the good in others–and speaks it. "- from How to Pay a Compliment at Modern Mrs. Darcy. This post really made me consider how to be more intentional with compliments instead of just blurting out awkward things like "nice, um....shirt, or something, you know..."
9. I seriously love my Bravado Nursing Tanks. That is all. 10. I wouldn't have thought that I was the type of person to take blurry pictures of a fortune cookie with my cellphone and post it on the Internet, but it was just too good not to share. 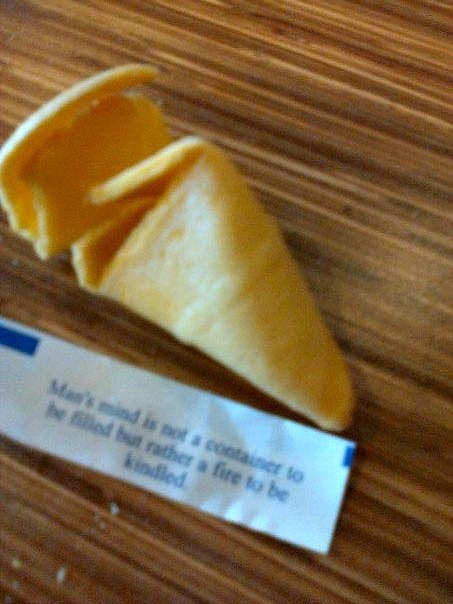 It says "Man's mind is not a container to be filled but rather a fire to be kindled." That is pretty much my entire homeschool philosophy summed up in a fortune cookie. 11.Lately I've been loving the blog A beautiful Mess. If there is a blog you are really enjoying lately (other than, you know, this one...ahem) please tell us about it in the comments so we can all check it out! 12. Starting this Friday I'm going to be doing a weekly series/feature thingy that I'm really excited about. So stay tuned, okay? Thanks so much for visiting The Complete Guide to Imperfect Homemaking. And Happy Valentine's Day to my lovely loyal readers. I love you guys! While cleaning the kitchen this evening after dinner I thought to myself "I don't think I've seen a post for Imperfect Homemaking lately. I wonder what she's up to." Then after putting the kids to bed I pop on FB and what do I see? You!! First of all, your hair looks amazing! I too was wondering about the dreadlocks. It looks gorgeous now! Second, I'm totally making that coffee cake. I have a bag of coconut flour and absolutely no idea what to do with it. Third, that little smile makes me want to have another baby. Even though I'm not having any more babies. And fourth, I enjoy A Beautiful Mess as well... and I'm also loving Keeping It Cozy -- http://keepingitcozy.blogspot.ca/. Congrats on the craft room! Wow! Just from a brief look at the first page of Keeping it Cozy I know I'm going to love it. I can't wait until I have a chance to poke around a bit more! Thanks, Sarah, for the recommendation! Isn't it a lovely blog? Oh, and another one I can't get enough of lately is Life In Grace - www.lifeingraceblog.com - I think you would really like this one too! Yes! I used to read Life In Grace regularly and I kinda forgot about it. Thanks for the reminder..I'm adding it to my Reader now! Hi Kelly! Regarding #11 - besides your blog, I am currently loving Awsomely Awake (www.AwesomelyAwake.com). 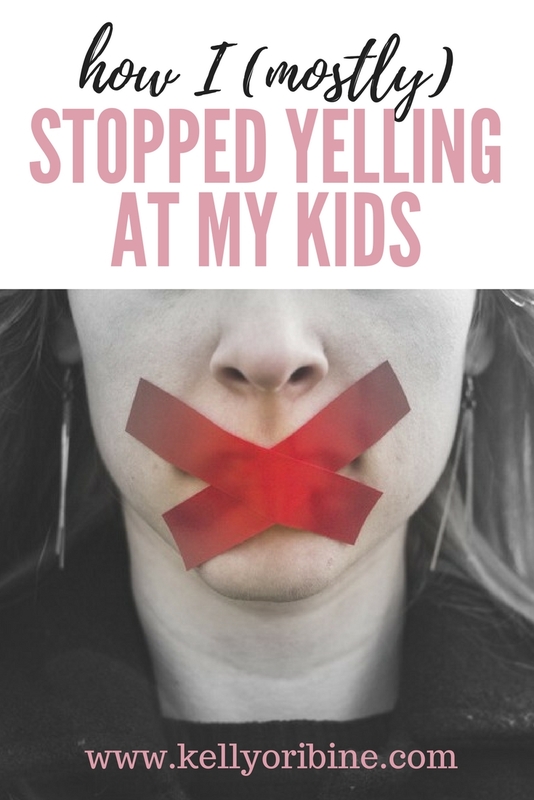 It is all about intentional parenting and how to be in the moment with your children. I highly recommend checking it out! I enjoy your posts IMMENSELY. I love your life...reading about all your activities and projects gives me hope for the future. It makes me feel good to have your energy injected into my days. Thanks for all you do, Kelly. That smile has just lit up my day, what a gorgeous baby you have, she is adorable. This pug owner does drawings of her pugs. She has a great sense of humor and quite a lot of talent. I think anyone who has ever loved a dog will enjoy it. The one problem about getting your posts by subscription to my e-mail is that I don't have a chance to comment! It doesn't make any sense whatsoever, but I totally have wondered about your hair for a while too! It looks great! 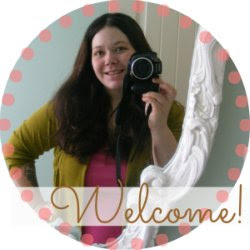 I just wanted to comment today because just yesterday I saw an awesome link for a DIY post from A Beautiful Mess on my other favorite blog www.suzykrauseandtheskyscrapers.blogspot.ca and I just think that is neat, it is such a crazy small world, even in cyberspace! You continue to amaze me. You are such an inspiration to me. I just love your blog. Thank you so much for writing. I really wish I could dress as hip as those guys, too! Hi, I was wondering about your new puppy! I was looking forward to some pics of all your babies with their pup... kids & puppies....so sweet! I recall when my Irish Setter was a pup he was almost as much work as a child, lol, especially nightimes, and potty training! What a great post! Your hair is lovely - so glad the dreads are gone - ha, ha! The baby is a doll . . . love the turquoise cart (my favorite color for quite awhile). Check everyday for a new post! Blessings on this Valentine Day. Have you noticed yet the change in your electric bill from losing the dishwasher? Ours was quite lovely and very noticeable at almost $20 a month! Those booger machines waste a ton of electricity!! I love all the posts this week, Kelly! It's so funny I was thinking about your dreads too - weird? Excited for the new and exciting things! I love your ideas! I love the "simple" way of living! The blog that I recommend is resolved2worship.xanga.com. She is a mother of 8 and inspires me so much, even as a grandmother of 5. She shares so much about her experiences as a mother bringing her children up in the ways of the Lord. Highly recommend it! There was this blog I LOVED but, sadly, the blogger stopped posting. You may have heard of it--The Year of Less! 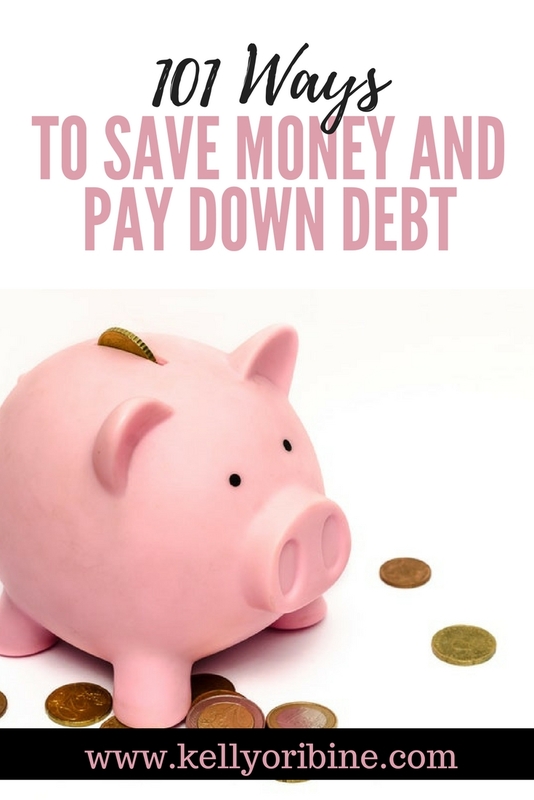 It was a wonderful blog with lots of great ideas for a simpler/minimalist lifestyle. I miss it and hope you will share some more of your ideas HERE that you would have posted THERE to keep us on the path to LESS. Not that I have anything against dreadlocks, but your hair is so pretty and shiny without them. Thanks for the update! I don't have a dishwasher either, I do the dishes after breakfast and lunch have passed, and if I make a mess of dishes prepping dinner I wash those while I cook, and after dinner I try and at least wash the dishes, even if they aren't dried and put away, before we head to bed. In the morning it's awesome both ways... if my dishes are totally done I am really happy. If they are half way done, I'm almost done with one chore. There's almost always SOMETHING in my sink but I have learned to live with it, or if it's really bugging me, I just fill the side with soap and water, throw some of the dishes in and I feel like that looks cleaner than just the dishes. I used to let them pile up for days (seriously). It was such a mess. I am also looking forward to having a dishwasher one day... it will be so nice to hide them. And, I don't know how Kelly does it lol. Do you have any tips on getting all the nasty stuff out of sippy cups? (if you have kids) I can't seem to get everything out of them by hand.